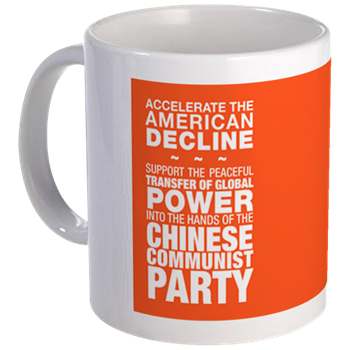 Today, as President Trump announces America’s intent to retreat from reality, make sure to plant your feet firmly on the right side of history and purchase the “Accelerate The American Decline” coffee mug. Great? Which stores can I get this from? You can buy it online through cafepress or you can buy it at any of our retail locations along E4 between Malmö and Stockholm.